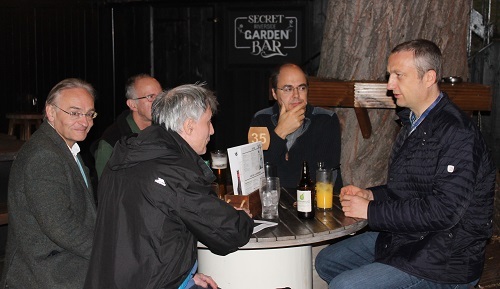 British professor Gordon Rugg has published two articles about his “table and grille” method (the second one was co-authored by Gavin Taylor), which might have been used to create the text in the Voynich manuscript. As described in the first two parts of this post, there has been both criticism and approval. In this last part of the post I will state my own opinion about the “table and grille” method. Let’s look at the problem from the other side. There are three possibilities how the Voynich manuscript text might have been created: It could be encrypted, written in an unusual script or simply nonsense (the “table and grille” method supports the nonsense hypothesis). In my view, none of these explanations can be precluded. However, they are, in my view, not equally likely. Is the Voynich manuscript text encrypted? This looks quite unlikely to me. Encrypted messages from the late middle ages or the early Renaissance can usually be broken today. As the Voynich manuscript provides over 200 pages of material for analysis, it should be even easier to decrypt than most other encrypted texts of the time. 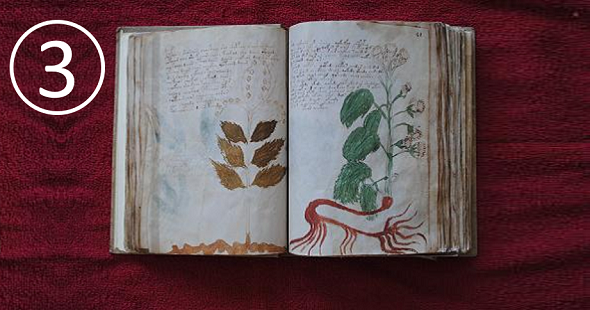 Nevertheless, even the smartest codebreakers have failed to break the Voynich cryptogram. For these reasons (and a few others), I’m not a supporter of the encryption hypothesis. 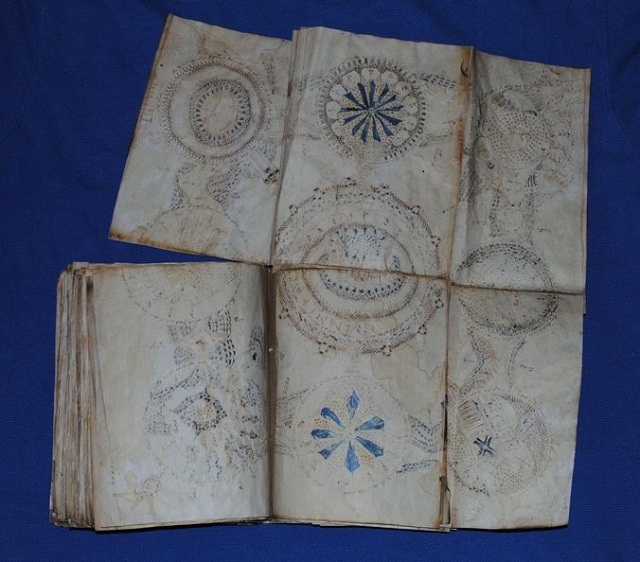 Is the Voynich manuscript text ordinary text written in an unknown script? Writing in a non-standard script is equivalent with a simple encryption process. As the encryption hypothesis is well researched, it seems unlikely that one of the most obvious encryption methods has been overlooked by all researchers. All in all, I’m not a supporter of the unknown script hypothesis, either. Is the Voynich manuscript text nonsense? This is clearly my favorite hypothesis. But how was this nonsense produced? Gordon Rugg’s “table and grille” method is clearly an interesting candidate. This method is simple enough to create 230 pages of text. It is consistent with 15th century knowledge. It creates text that resembles the text in the Voynich manuscript. On the other hand, it is not clear, whether the “table and grille” method (perhaps with a number of additions) really can create text that looks exactly like the one in the Voynich manuscript. If Gordon (or somebody else) can name a set of tables and grilles (and maybe some additional instructions) that produce exactly a paragraph from the Voynich manuscript, the debate can be finished. Until then, the question how the Voynich manuscript text was made is still open. Spontaneously produced nonsense: It has been stated many times that humans are bad at producing meaningless letter sequences. While this is generally true, there might be exceptions. Maybe there are people who have the ability to create meaningless pseudo-language. Maybe such an ability can be learned (writing a 230 pages nonsense book might even be a good “learning by doing” project). Maybe there are mentally ill people who can do something like this. Maybe an illiterate person, who is used to copy text without being able to read it, can develop such an ability. All in all, I would not reject the “spontaneously produced nonsense” hypothesis right away. Autocopy: The text in the Voynich manuscript might be derived from a short text that is copied over and over, each time with some variations. This theory was proposed by German Voynich scholar Torsten Timm. Torsten’s paper is available here. Jürgen Hermes has published an interesting (and positive) comment about it. 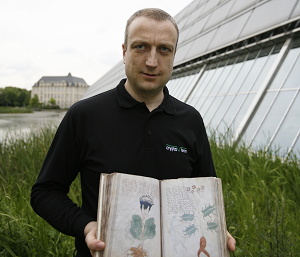 Codebook: Jürgen Hermes has proposed that the text in the Voynich manuscript has been created with a codebook. This method is explained here. Language nonsense mixture: While some statistical properties of the text in the Voynich manuscripts look like natural language, others clearly don’t. It therefore seems possible that this text was produced with a method that comprises both natural language and nonsense. For instance, the Voynich author might have assembled natural language building blocks (e.g. words) in a way that has got nothing to do with natural language grammar. This method may even resemble the “table and grille” method. If a reader can come up with a method of this kind, I would be interested. There’s one other point that needs to be taken in account. Statistical analysis of the text in the Voynich manuscript is usually done with a transcription. However, there are several different Voynich transcriptions, which differ in important respects (especially, a certain text part can be interpreted as one or two characters). Even the European Voynich Alphabet (EVA), which is considered the best Voynich transcription, is certainly not perfect. It goes without saying that this transcryption problem makes statistical analysis quite difficult.